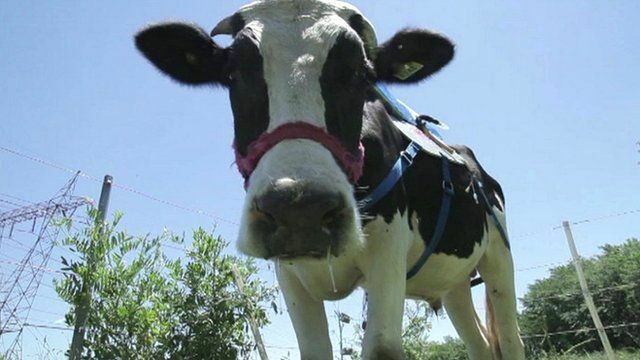 Turning cows' 'burp-power' into fuel Jump to media player A team of scientists in Argentina is harnessing the methane gas which builds up in the stomachs of cattle and converting it into an alternative energy source. 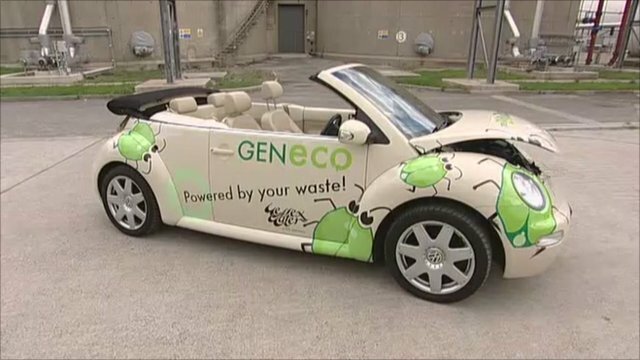 'Poo-powered' car hits the road Jump to media player A "poo-powered" VW Beetle has taken to the streets of Bristol in an attempt to encourage sustainable motoring. Argentine farmers have long raised cows for meat, but now the country's cattle may soon be hailed for their contribution to saving the environment. A team of scientists from the National Institute for Farming Technology in Buenos Aires has found a way of harnessing the methane gas which builds up in the animals' stomachs and converting it into an alternative energy source. Ignacio de los Reyes reports.